You know your business, let us handle your IT. There’s No Technical Problem We Can’t Solve! At IntellaCore IT, we are committed to providing 100% satisfaction to our customers. We guarantee that we will fix any IT problem that you have. Our highly trained and professional team at IntellaCoreIT has over 30 years of knowledge working in the IT industry. Located in Tulsa, Oklahoma, we can help your small business with any number of IT tasks or issues, including preventive maintenance, Managed Services, Network Security Management, IT asset management and continuous monitoring systems. 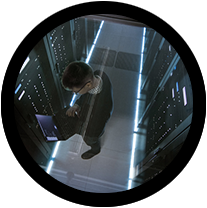 The skilled technicians and IT experts understand the needs of small businesses and can help you offset the advantages that larger businesses have with their massive IT departments. And when it comes to Tulsa computer repair, we have the experience you need to rapidly solve whatever computer problem you have. We want your business to succeed, and we can help you do it. It always seems that computers choose to breakdown at precisely the moment you need them the most. For a business that relies heavily on computers, this kind of IT problem can be a disaster if it is not dealt with immediately. When you need a Tulsa computer repair job done quickly and efficiently, you can rely on IntellaCoreIT to provide you with efficient, courteous service. We recognize that you want your problems solved as fast as possible, since time literally is money when it comes to computer breakdowns. 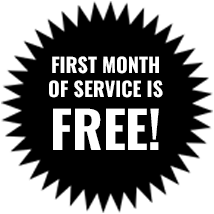 With over three decades of deep knowledge and experience in the field of computer maintenance and repair, we make every effort to diagnose and fully resolved any issues you may have during our very first visit. Computer repair is only one aspect of the services we provide. We are able to handle all of your networking, hardware and software issues. Our computer maintenance technicians and IT professionals have a very wide range of experience and knowledge in information technology, including database administration, programming and network maintenance. We have established relationships with customers that have lasted decades, and we pride ourselves on our high standards, are ethics in our commitment to providing the very best in customer service. The solid relationship we have established with the business community in Tulsa has given us a reputation for reliability that we strive to maintain. Information is at the heart of many businesses these days, and protecting data is absolutely essential if a company is going to be successful. This information can be proprietary data the company needs to keep secret from competitors, or it can be the personal and financial data of its customers. While losing the former can be extremely bad, losing the latter can be a liability and PR nightmare. We have all heard the horror stories of companies failing to protect their own data or that of their customers and the devastating consequences they can face. Certainly, customers these days are very unforgiving of businesses that fail to protect their personal and financial data. The outrage customers feel on this topic is understandable, since hackers or identity thieves can easily destroy someone’s credit rating and finances if they can get their hands on this kind of information. 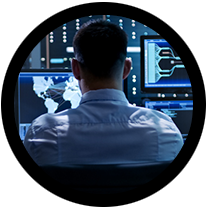 The staff at IntellaCoreIT understand this and will help you implement measures designed to protect both your company’s proprietary data and any information that your customers have entrusted to you. Just as your customers have trusted you with this information, you can safely trust us to help you protect it. Our relationship with our customers is of tremendous importance to us. Our goal is to ensure that you questions are completely answered and you are fully satisfied with our services. This is good for you and good for us. We know that our business can only thrive if we help ensure that your business does. And over the years, our customers have come to recognize this, which is why we enjoy such strong loyalty from our customer base. And we deeply appreciate it. We have a diverse range of skills and individuals on our staff, and this means that they can come it any problems you have from many different angles. This helps to guarantee that you will get the highest quality service and the most up-to-date and effective solutions to your IT problems. 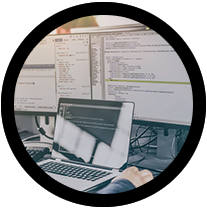 Our ultimate goal when we work with you is to try to ensure that your IT environment operates smoothly and with as few problems and interruptions as possible. Virtually every small business has to have an Internet presence these days, and how you present yourself on the Internet tells your current customers – as well as your potential customers – a great deal about how you run your business. It is absolutely essential that give leave visitors to your website the best possible impression. Website design is an essential part of this of course, but it is just as important to understand what the concerns and problems of your customers are so you can demonstrate to them that you and your small business are best equipped to help them. This can seem difficult when you are a small local business trying to compete with a giant in the industry, but it can be done with our help. Once your website is up, we can help you start developing an Internet strategy that will increase your rank and authority on Google and in other search engines. We can also help target your ads more effectively and maintain your site in a way that will bring in more traffic – and consequently more sales. Beyond Tulsa computer repair jobs, some of our more popular IT services include browser troubleshooting, data retrieval, desktop application support, and virus cleanup. We can also help you with networking issues and configuring Hosted Exchange email. More than this, you can expect us to respond to any request for assistance or advice in a timely and friendly manner. Your needs are number one on our agenda. So if you have an urgent problem that needs resolving or want to talk about long-term plans for IT changes at your small business, contact us today. We will create customized solutions to meet your IT support needs, whether they are small or large.